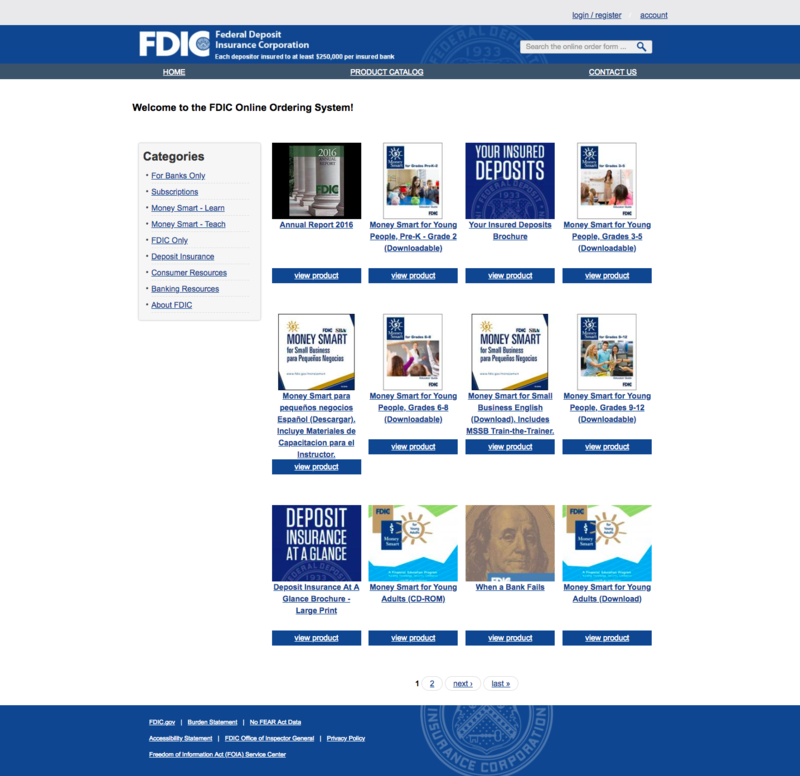 This was the first government agency website that I worked on. 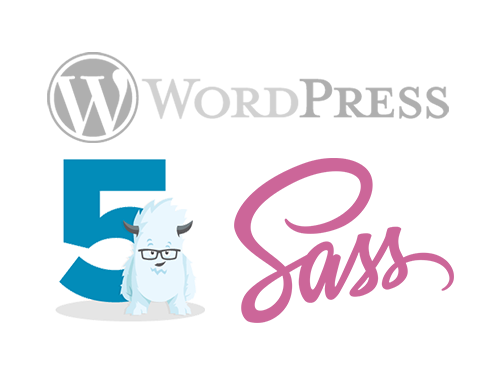 It involved a large Drupal 7 migration module that I built from scratch. 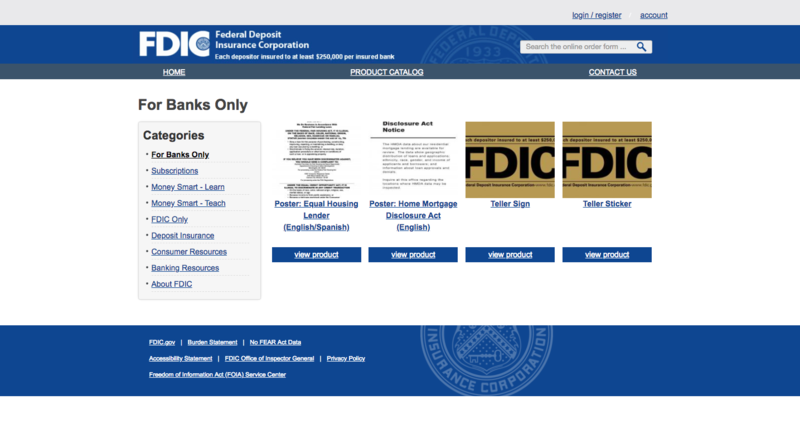 FDIC was able to give us their product data in CVS format. So I built a migration module that was able to ingest these CSV files and create Drupal nodes from them. This made the migration process very quick and we were able to focus more of our time on the commerce portion of the site.